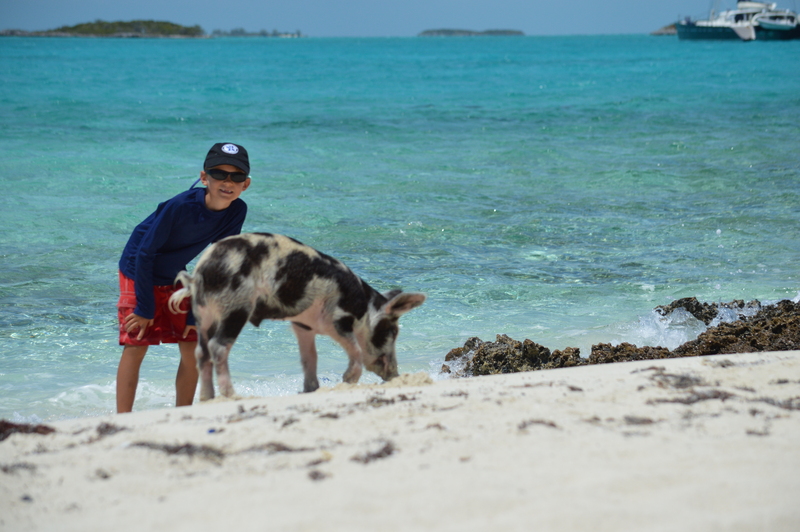 After Warderick Wells we sailed south to Staniel Cay. 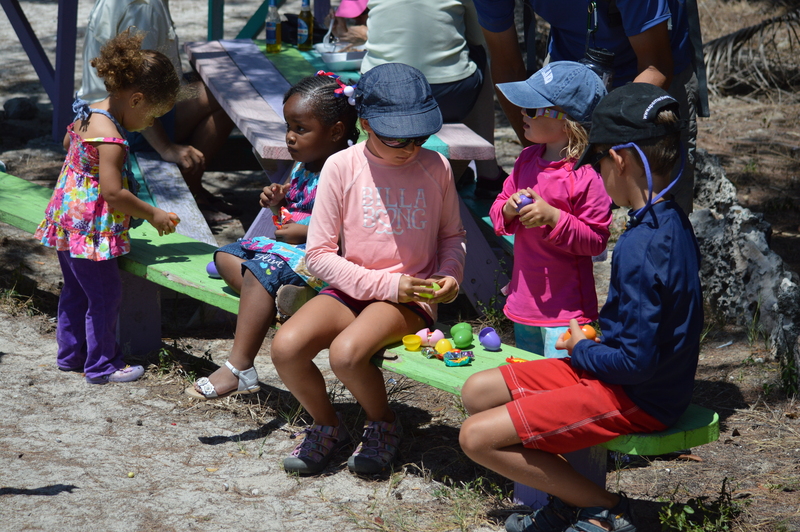 We met lots of new friends from other cruisers to local Bahamians on Staniel. We dropped anchor around noon on April 21 and dinghyed over to town because we were hoping to find some food outside of our carbohydrate genre (on the boat our lunch options are either cheese & crackers, leftover pasta from the night before or a honey sandwich). 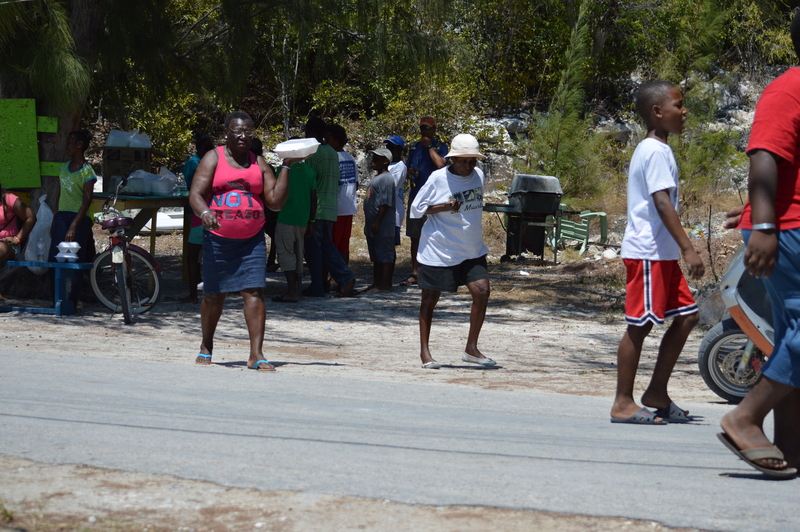 We noticed everyone was carrying “to go” styrofoam containers so we asked what was going on and a friendly local woman told us there was homemade food being sold at the community park. Bingo! We all quickened up our pace and beelined it for the community park. BBQ ribs, coleslaw, coconut rice and beans and Bahamian Mac N Cheese. I’m not typically a Mac N Cheese girl, but the Mac N Cheese in the Bahamas makes me swoon. I think the secret ingredient is a boatload of mayonnaise. 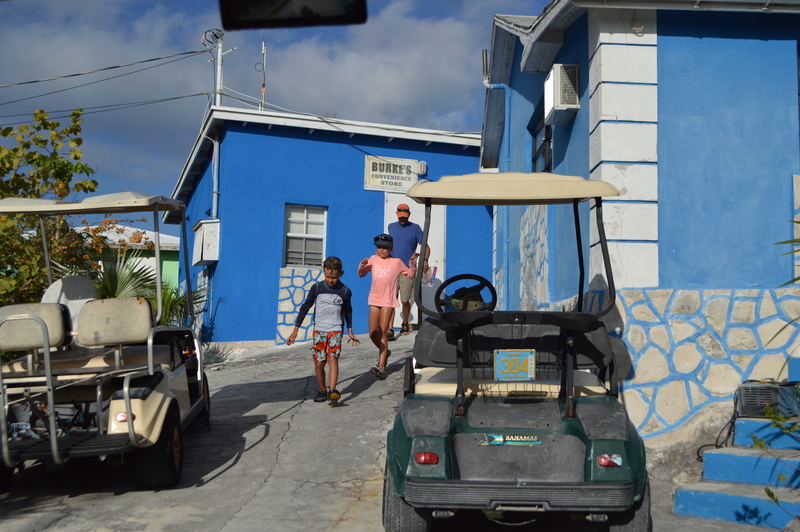 Two sisters cooked all the food and transported it in their golf cart (the 76 locals on Staniel Cay mostly drive old golf carts and not cars because the island is small and it’s much more economical). The one sister dished out the food while the other sister made trips back and forth to her home to keep getting food out of the oven. Here’s the food station at the park. While Marc and I were getting the food, Joellen, Camden and Maria joined in the local Easter egg hunt. All the other kids were so sweet and made sure our three kids got some eggs. The next day we rented a golf cart with two broken headlights and a bum brake (because the parking brake didn’t work they gave us a large rock to use when parked on an incline). 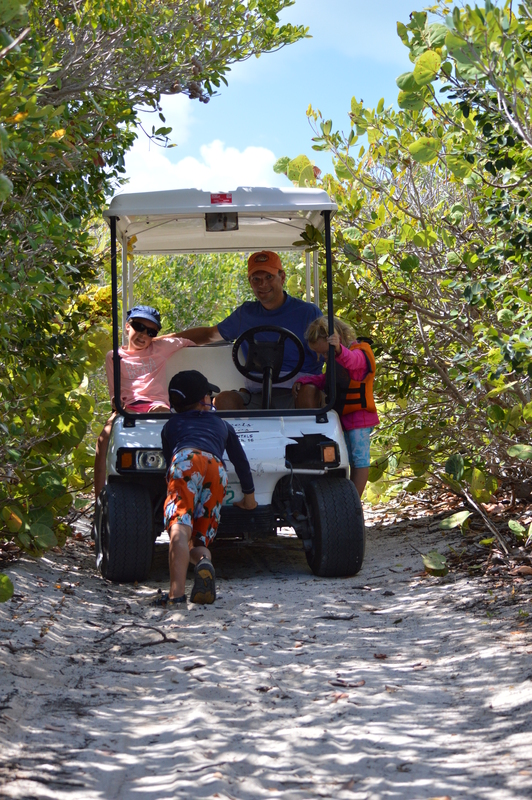 One of the reasons we rented the golf cart was to dispose of our garbage. 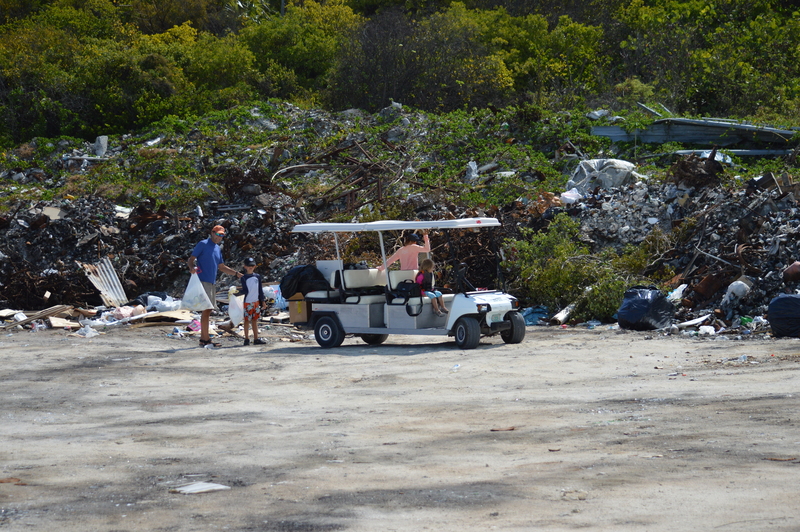 There are only a few places in The Exumas to dump your trash bags and most charge you for it…unless you take it yourself to the dump. Marc and I thought this would be a good teaching moment for the kids to see where trash goes, especially since it was Earth Day. I’ve explained landfills before to Joellen and Camden but they just couldn’t picture it mentally. 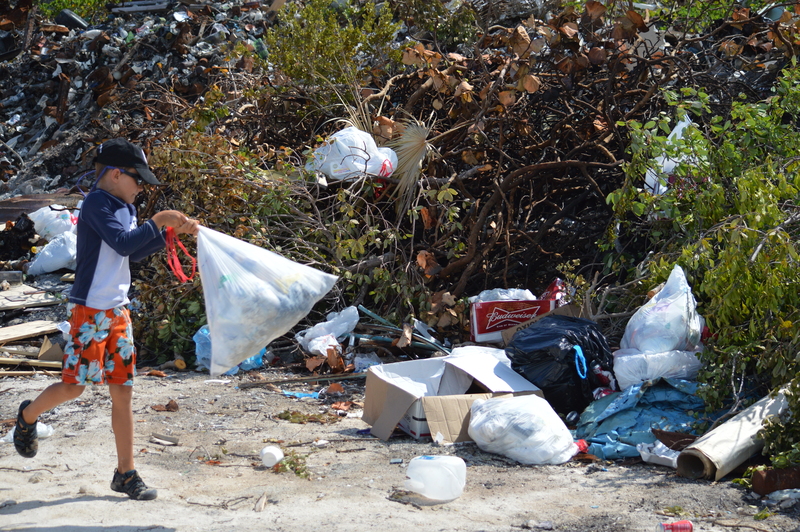 We pulled up to the small scale dump and let the kids fling our garbage. 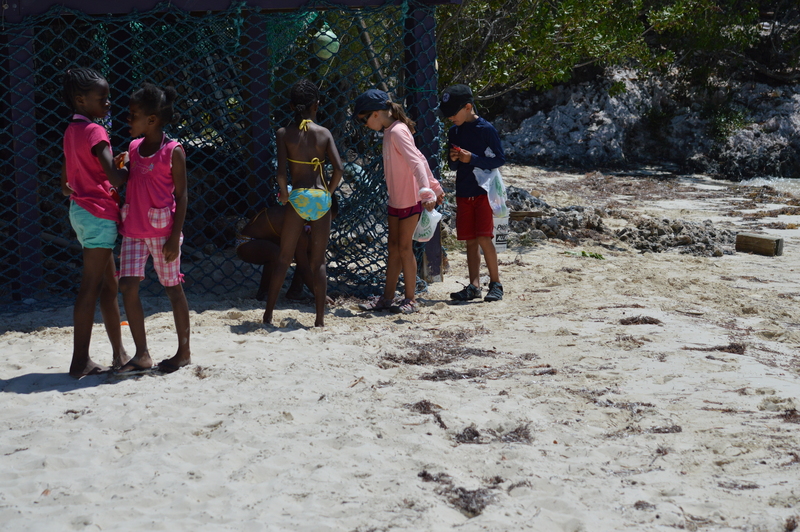 The trash, stench and flies made an impact on the kids that led to many following discussions. And here we are getting stuck heading back from the dump. Luckily Camden’s brute strength came through in the clutch. 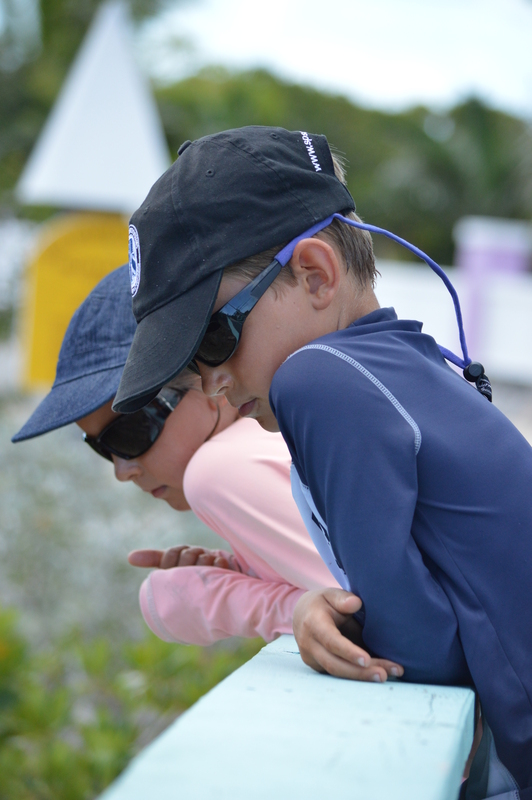 Camden’s favorite part of Staniel Cay was Bonefish Creek. He stood on the small wooden bridge over the creek for a long time looking at all the fish. Marc and I had to run into the general store to buy some potatoes. Yes, more carbs but fresh carbs! Anywho, when we came out of the store, we found Joellen and Camden on a makeshift seesaw. Everywhere we go Joellen and Camden are on the lookout for rocks and a board to make a seesaw. Marc and I crack up because making a seesaw has become almost a daily occurrence with these two. 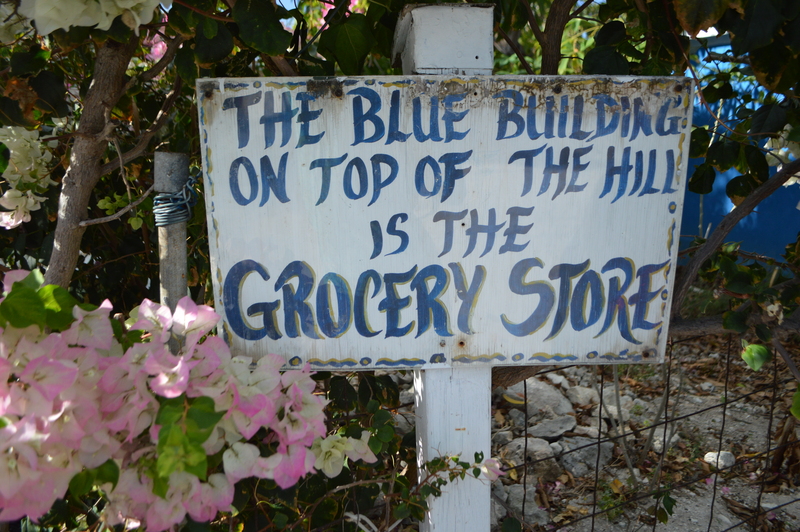 We then headed to the other general store on the island to look for more groceries. We scored fresh onions and eggs! This store would have been hard to find all tucked up at the top of someone’s driveway if it was not for the sign. 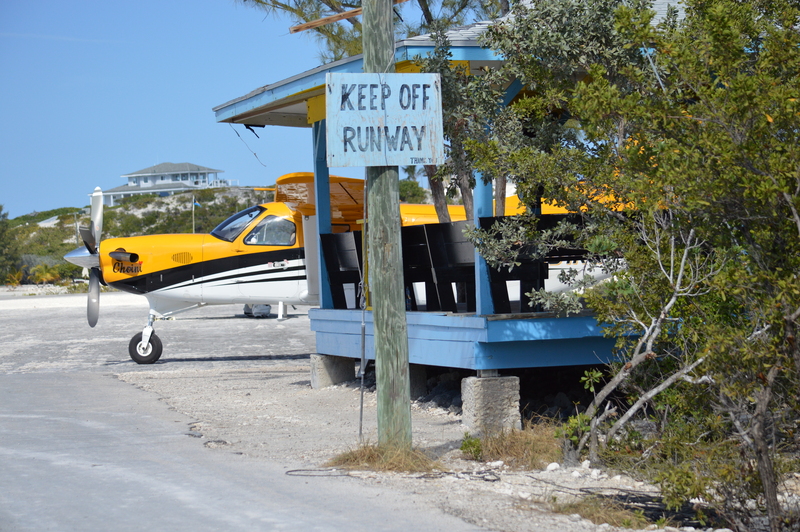 After the blue grocery store, we made a wrong turn and ended up at the local airstrip. I am just loving the local signs. 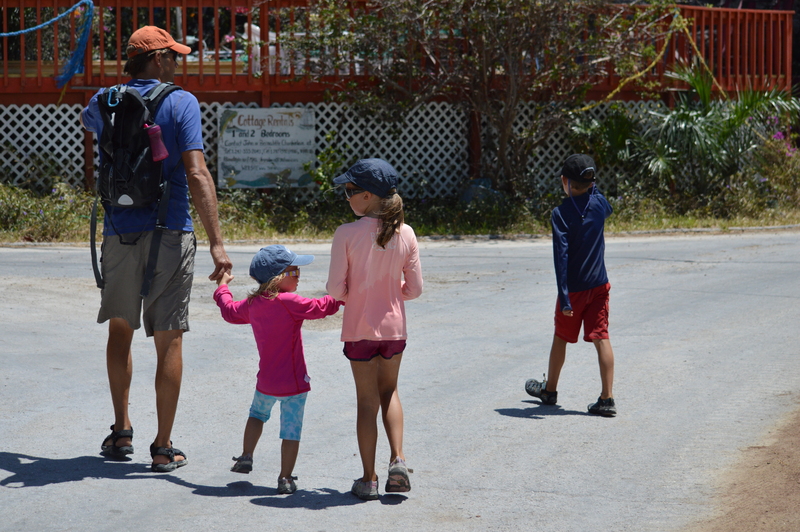 Another highlight of Staniel Cay was the adjacent island called Big Majors. 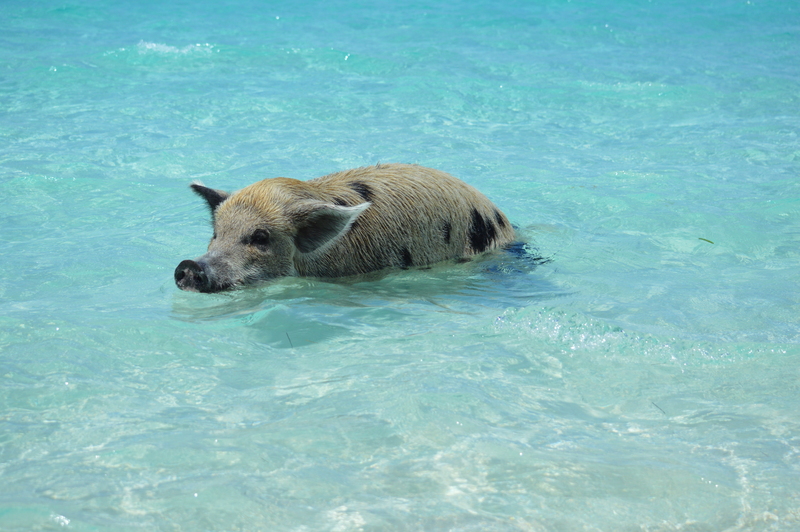 Big Majors is known for their swimming pigs. We heard they could be somewhat aggressive since tourists feed them. 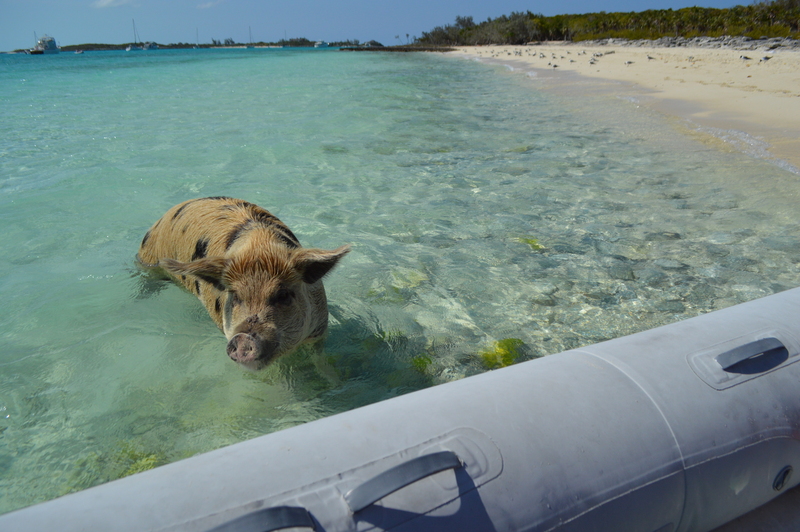 When we started approaching pig beach in the dinghy, the two largest of the bunch started swimming towards us and I swear I saw one lick his little pig lips. Little did he know that we had no food and he would have to wait for the next dinghy to arrive with “the goods”. 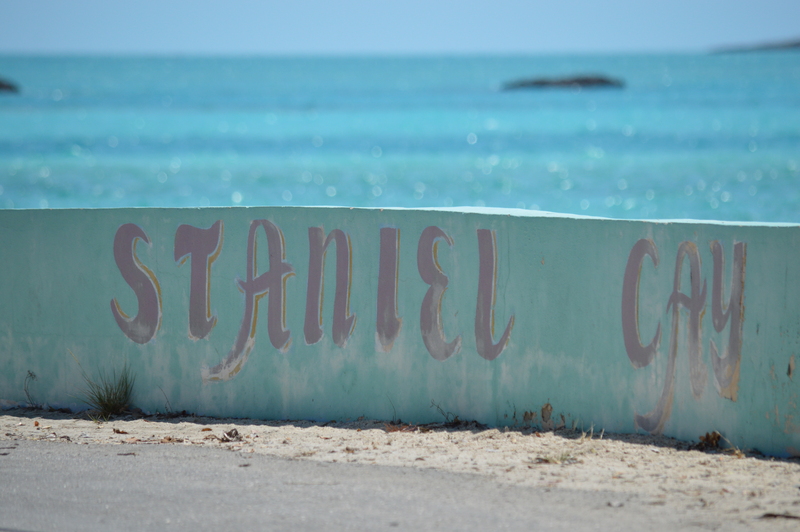 We love the Staniel Cay area so much that we couldn’t fit it all in one post. More to come! May 4, 2014 in Fun, Movement, People. Nice. Score on the local barbecue! I’m sure you were thrilled. It sure makes all of us at home appreciate the fact that we can choose from a variety of grocery stores and purchase anything we want! Enjoying all the posts this week. Great to hear updates on your adventures. Miss you guys! Sending love to all on Adagio. 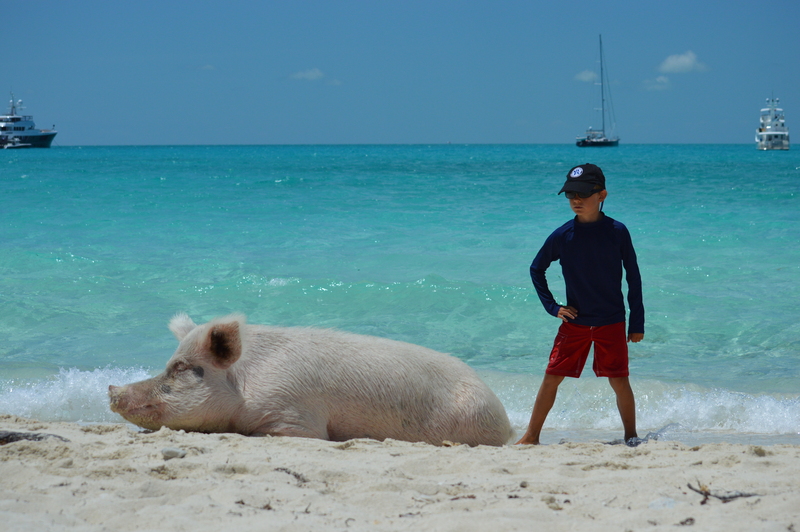 Northey was bit by a pig when he was four. It really chomped down on his hand – I was so thankful he still had fingers at the end of the day. His hand was swollen about three times it’s normal size for over two weeks. I don’t let the kids get anywhere near them now!!! But, your pics of the pigs are awesome! I’m so glad you are sharing the world with us! TR – Should we name them like you guys do, dinner and supper? How appropriate… we’re reading The Three Little Pigs in our preschool class this week. 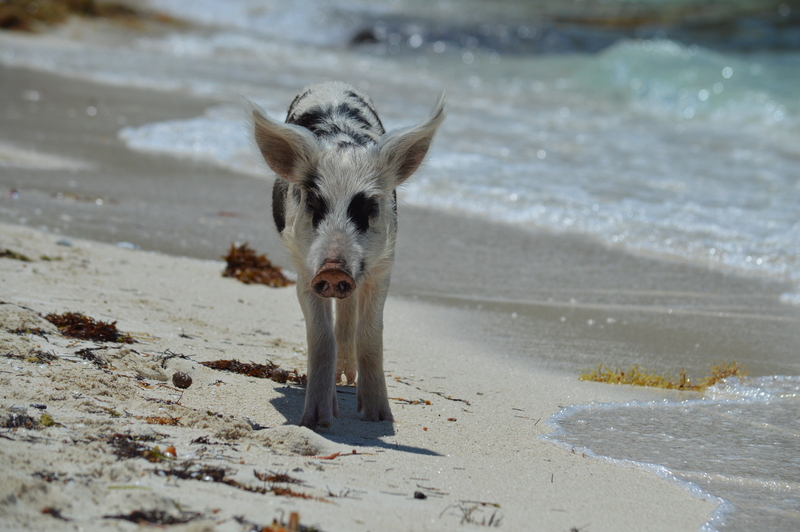 I’ll have to show the kids your pig pictures. I’m sure they’ll get a kick out of them! Thanks for sharing your adventures with us! That’s too funny. These little piggies were a tad aggressive for my taste. Hope you are well and enjoying the spring. Amazing days and adventures at every turn. Good to hear all is going well and that God continues to bless your lifelong dream into reality. We miss you guys. Safe travels! Wow, I can’t wait to hear what else you have to say! 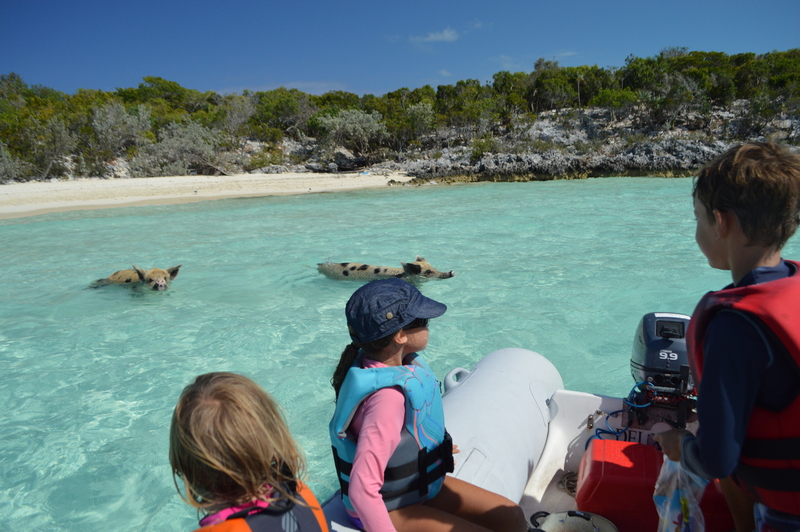 From golf carts with “rock brakes” to swimming pigs, what an adventure! I love the makeshift seesaws, how adorable! I so happy to hear you are all well, thanks for the update!